Trees are being removed for the landscaping of new resorts. The Environment Protection Agency has accused environmentalists of “spreading misleading information” after coming under fire for authorising the mass removal of trees for the landscaping of new resorts. 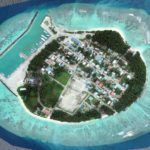 It emerged last week that hundreds of trees were uprooted from the uninhabited island of Mendhoo in Laamu atoll and transported to a resort under development in a reclaimed lagoon near the capital Malé. It was the latest instance of a practice environmental activists have dubbed #MvTreeGrab. More than 300 coconut palms were carried out on a barge, a councillor from a nearby island told Sun. 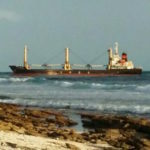 A new channel was also dredged from the southern island’s reef to allow access to the vessel. 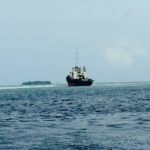 The Mendhoo island was leased to former lawmaker Hassan Adil for agricultural use and the removal of trees was approved by the EPA. 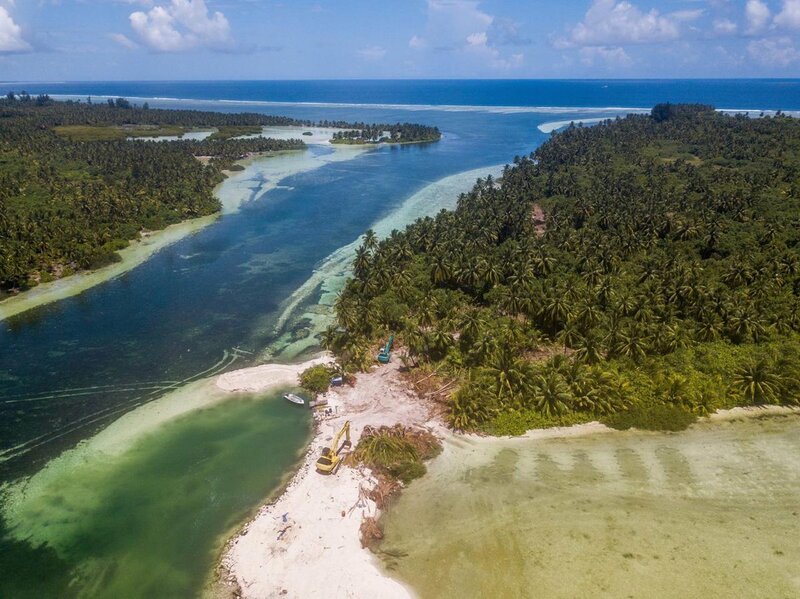 The trees were taken to the reclaimed Emboodhoo lagoon where a Thailand real estate company is developing integrated resorts on several interconnected artificial islands. 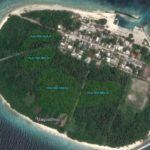 According to an Environment Impact Assessment for the agro-farming project on Mendhoo, an estimated 1,199 palm trees would be removed from the island. “Due to the small size of the island, majority of the island vegetation is needed to be cleared and impact of that will be significant,” the EIA report stated. Adam Abdulla, an environmental advocate, described the Mendhoo case as the “third wave of MvTreeGrab” where agricultural projects are being used as a pretext. The Mendhoo commercial agriculture project was sanctioned by the fisheries and agriculture ministry. The EPA gave permission to remove trees after an Environmental Impact Assessment was conducted, the agency said in a press statement on Saturday. “Industrial agriculture and airport projects cannot be carried out without clearing vegetation. Usually, there is no space to replant these trees on the same island. 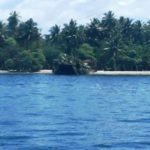 In such circumstances, this agency is giving permits to relocate the trees to another island instead of destroying them completely,” it said. According to regulations, a permit must be obtained from the EPA before removing more than 10 trees. An assessment has to be done for the removal of more than 200 trees. The rules also require two trees to be replanted for every tree uprooted and transported to another island. For every tree uprooted under such a project, six trees were required to be replanted. But Adam said there was no evidence that the EPA was monitoring to ensure trees are replanted. Mandatory monitoring reports have not been made public, he noted. “We all know the inconsistencies and problems in the [Environmental Impact Assessment] process. EIA regulation is being abused. Consultants are making assessments how ever their client wants and EPA turns a blind eye,” Adam said. Former attorney general Husnu Suood has also weighed in on the issue, posting a recent announcement by the council of Meemu Mulah opening bidding for a contractor to uproot more than 800 trees from the island. 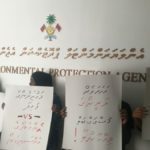 Resorts, brokers, and island councils as well as the EPA and EIA consultants were colluding to facilitate the sale of trees, Suood previously alleged. In November, former president Mohamed Nasheed also spoke out against the removal of trees for the landscaping of resorts. “My administration does not believe in making one island barren to make another one green,” President Ibrahim Mohamed Solih said in December at a tree planting event in Hulhumalé.